Black churches have been a mainstay in Omaha since the 1860s. One of the strongest congregations has been a Black Catholic church named after St. Benedict the Moor. Here is a history of the parish. Francis Cassilly, S.J. (1860-1938), founder of the St. Benedict Catholic Parish. Pic courtesy of Creighton University. In the second decade of the 20th century, a determined Jesuit priest named Rev. Francis Cassilly decided start a “mission to the Negroes” in the Near North Side. Apparently, Blacks wanted to go to Omaha’s Catholic churches because they kept showing up at Sacred Heart, St. John’s and Holy Family churches to worship. However, since Omaha’s parishes were strictly segregated and ethnically-oriented, and none of them would serve African Americans. For a year starting in 1918, Father Cassilly held services for the new congregation in the chapel at Sacred Heart Catholic Church. In 1919, the Saint Benedict the Moor Catholic parish was opened as the Saint Benedict Community House at 2429 Parker Street, a modest house on the corner of 24th and Parker Streets. A historical image of the original St. Benedict’s at N. 25th and Grant Streets. In 1923, Saint John African Methodist Episcopal Church, or St. John AME, sold their building at North 25th and Grant to the Jesuits. It became home to the segregated Saint Benedict the Moor parish. Located at 2423 Grant Street in the Near North Side neighborhood, the original church building was at least 30 years old when the parish was started. With the explicit purpose of Catholicizing Blacks in North Omaha, the church grew in strides. It was the era right after redlining began in the neighborhood. Black Catholics were largely respectable business operators or managers or longtime workers in nearby industries. The success of the church was immediately obvious to the diocese, and they reward St. Benedict quickly. The parish was ambitious, and bought the corner of N. 24th and Grant Streets in 1926 with the intention of building a new church there. Father Cassilly led the congregation until 1933, and was succeeded by Father Francis Daly, and then Father Preuss. In 1943, Bishop Ryan led the 25th anniversary of the parish. In 1958, the parish constructed a new building on the site of its original church. The Omaha Diocese Bishop Rummel stands with other clergy at the dedication of the new St. Benedict’s School at 2423 Grant Street in 1928. Longtime mayor James Dahlman is to the left of the Bishop Rummel. Pic courtesy of The Durham Museum. The St. Benedict School was started in 1923. Located in the church, it operated as a grade school for the next six years. In 1929, the archbishop opened a new school next door to the church. Like its parish, the school was segregated too – but earned a dubious distinction from its insemination: Saint Benedict School was the only officially segregated school in Omaha. Even though there were several Black schools in the Omaha public school district, they were all de facto segregated; Saint Benedict’s was the only one kept that way by official edict. From its opening, Palatine Sisters operated the grade school while Dominican Sisters ran the high school program. The Sisters of Mercy led the school for a period of time, too. Featuring 105 students in the entire school in 1943, there were 20 students in the high school. The Omaha World-Herald reported the school had 243 primary students in 1953.The school closed in 1968. This pic shows students at St Benedict’s in 1949, walking during a ceremony dedicating the new cafe at the school. 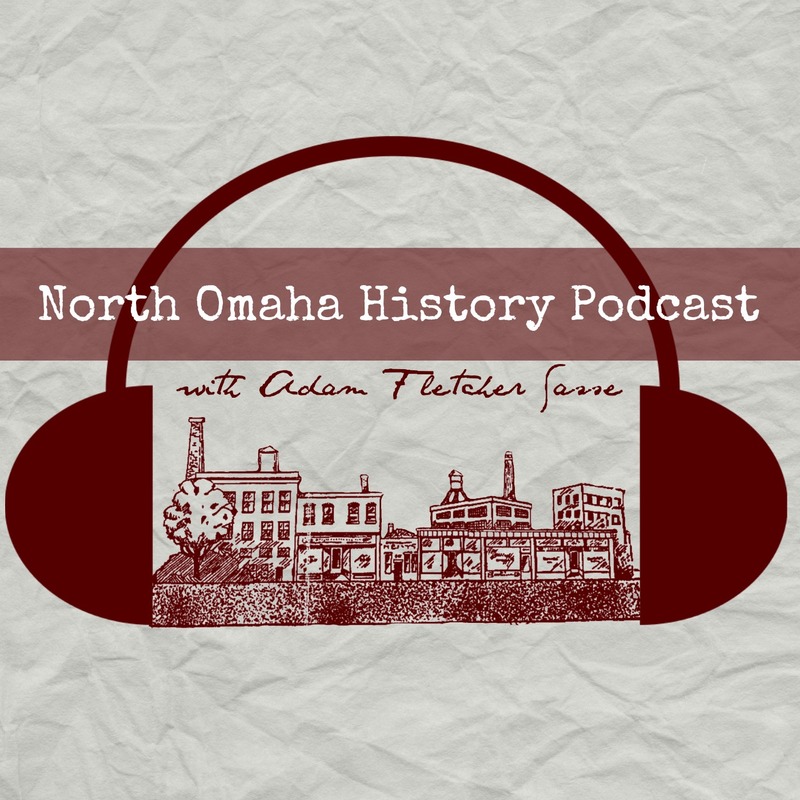 Starting with the lynching of Will Brown and the ensuing white riots targeting North Omaha in 1919, wave after wave of white flight left the Near North Side more and more segregated. By the 1950s, according to Omaha writer Leo Adam Biga, parish members didn’t like its status as a segregated mission church. The members of Omaha’s civil rights activist forefront, the DePorres Club, thought it wasn’t fair, either. Working with Father Markoe from Creighton University and St. Benedict’s priest, John Killoren, the congregation to switch from being a mission to become a standard parish. In 1953, Bishop Bergan formally changed the status of St. Benedict’s from being a mission to becoming a regular territorial parish. The Bryant Cage Center, including several basketball courts, is dedicated on September 12, 1966. The notables there included the governor of Nebraska, mayor of Omaha, State Senator Edward Danner, and local sports star Bob Boozer. The Bryant Cage Center opened next door to the school in 1966. It was named in honor of longtime community icon George Bryant, who led the Dan Desdunes Band for more than 20 years. Bryant was at the dedication ceremony and led the band as they played that day. The facility was built with resources from labor unions, construction firms, suppliers, business and professional people, as well as religious groups and GOCA. As it was dedicated, the Bryant Cage Center originally featured four large basketball courts along North 24th Street and two smaller ones along Burdette, and a playground. Soon after the school closed, Bryant Center took over the entire building. Credited as being an outgrowth of the St. Benedict School youth club, the center operated boxing, a Head Start program, a senior center, and other important activities throughout the year, and continued being an important institution in the neighborhood. The Catholic Social Action Center was also located there. A 2013 pic of youth playing basketball at the Bryant Center. Pic taken from the Bryant Resource Center facebook page. A 2001 Omaha World-Herald story reported that St. Benedict Church started the Bryant Resource Center in 1985 as a separate nonprofit organization “to offer educational, cultural, recreational and economic opportunities to improve the well – being and vocational capabilities of north Omaha residents.” The church donated the school building to the nonprofit organization. That year, federal and city grants as well as private fundraising led to a renovation of the interior using volunteer labor from the church. In 2014, a contest led to renovations at the Bryant Cage Center, and the entire facility continues today. Today, St. Benedict’s Catholic Church is among the oldest Black churches in Omaha, and continues as the only Black Catholic parish in Nebraska. Rev. Vitalis Anyanike took the lead of the parish in 2011. In 2016, the parish finished renovations to the sanctuary that are credited with revitalizing the congregation. “Remodel is a fresh start for St. Benedict’s, the ‘mother church’ of Omaha’s black Catholics” By Blake Ursch for the Omaha World-Herald on Jan 21, 2017. The Connecticut Pie Company factory at N. 25th and Grant Street was demolished by the 1913 Easter Sunday tornado, then rebuilt as the St. John’s AME Church, and designed by North Omaha’s architect Clarence Wigington. This building eventually became St. Benedict Catholic Church. THERE IS A GREAT AMOUNT OF HISTORY CONNECTED WITH THE BRYANT CENTER. BASKETBALL COURT, ITS STORY NEED TO BE TOLD AND RECOGNIZE. That’s why I wrote this article Eddie – is there more information I should look for? IDEA, WAS RESPONSIBLE FOR SOME OF US GOING TO COLLEGE AND BEING EMPLOYED.